When you’ve cooked in great restaurant kitchens around the world for years, you know instantly what the essential element in your tool kit is: for Chef Holly Peterson, it’s pure grey salt crystals from Brittany, France. 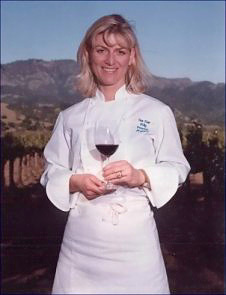 The Chef first discovered the wonderful properties of pure sea salt while working with three star chefs in European restaurants, and began using it in place of ordinary table salt for all her original recipes. As the demand for a reliable source of sea salt grew, Sea Star ™ was born, providing both professional chefs and amateur cooks with this flavorful, high quality seasoning. Sea Star Sea Salt is rare, a whole food and not a processed chemical like most sea salt. Remember: if the salt is unprocessed, everything that is in the water is in the salt. So we are proud of origin of Sea Star - born in the cleanest ocean water in the world. You will taste the difference. Sea Star Sea Salt has been featured in many major publications such as Martha Stewart Living, Gourmet Magazine, Bon Appetite, The TV Food Network, The New York Times, The Wall Street Journal, the Wine Spectator Magazine & Wine and Dine series.